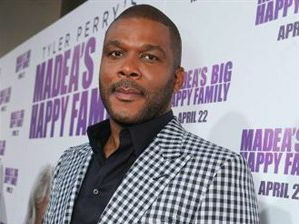 Hollywood actor, director and producer, Tyler Perry is reportedly expecting his his first child. According to gossip website Bossip.com Perry announced the news at his 45th birthday party about a week ago. Sources told the bossip that although Perry did not reveal who the mother of the child is, he has been dating model/philanthropist Gelila Bekele, for the past five years and she is believed to be the mother.